Will I Receive Notice Prior to a Check Garnishment? Surprisingly, you may have no idea that your payroll at risk until you see an unexplained and unexpected deduction on your paystub. How can this be? the point here is that the system for lawsuit service is imperfect and you could end up suffering the consequences even if the gaps in the process resulted in unfair results. Your credit report, by the way, is a good place to look for evidence of lawsuits and judgments – under Georgia law you can get your credit reports for free at AnnualCreditReport.com. If you never knew about a lawsuit, then you would not get notice of a court hearing on the creditor’s Motion for Summary Judgment. In fact, a high percentage of collection lawsuits are not answered and end up in default judgment, so a judge would not find it unusual that no one showed up to court. Once a default judgment is issued, the creditors’ collection lawyer will get a fi fa and send notice of garnishment to your employer. Your employer is not obligated to give you notice and, of course, many employers use payroll companies that process paycheck garnishments as a matter of course. 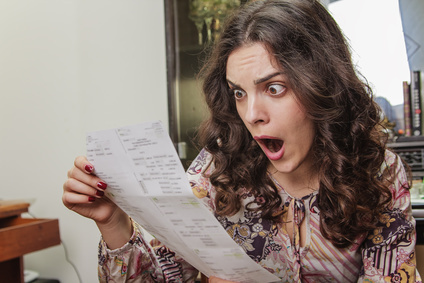 This is why you may not know about your paycheck garnishment until the day you open your paystub and see that 25% of your take home pay is gone. Jonathan Ginsberg represents honest, hardworking men and women in the Atlanta area who need bankruptcy protection. Call him at 770-393-4985 for a confidential discussion. How Can I Stop a Foreclosure? How Can I Stop the Harassing Collection Calls? This Would be my Second (or Third) Filing – am I Allowed to File Again? Can Bankruptcy do Anything about Student Loans? Can Bankruptcy Do Anything About Past Due Taxes? I Have Heard that Bankruptcy has Become a lot More Complicated – Can it Still Work for Me? What are the Differences Between Chapters 7, 11 and 13? What’s the Difference Between Chapter 7 and Chapter 3? What’s the Difference Between Bankruptcy and “Debt Settlement” Companies? Are there any Legitimate Alternatives to Bankruptcy? Which Type of Bankruptcy is the Right Choice for Me? How Do the 2005 Changes to the Bankruptcy Code Impact Me? Can I file My Bankruptcy Without a Lawyer to Save Money? Will My Interest Rates Change if I File for Bankruptcy? Will Any of my Debts Survive Bankruptcy? Can I Convert from One Chapter to Another After I File? I Have Just Been Sued…Now What? Should I File Individually or Jointly with My Spouse? Can I Change My Mind and Cancel the Case After I File? Will I Lose My House, Car or Other Property if I File for Bankruptcy? How Badly Will My Credit be Damaged by Bankruptcy? Should I Liquidate or Borrow Against My 401(k) or Pension to Pay Bills? Why Should I Choose Ginsberg Law Offices? Does Ginsberg Law Offices Offer Payment Plans? How Fast Can You Meet with Me? What Should I Do if I’m Ready to Get Started? What Information Do You Need From Me to Evaluate my Case? What Happens After I File My Chapter 7 Case? What Can Go Wrong in my Chapter 7 Case? What if My Budget Changes for the Better or Worse While I am in Chapter 7? How Can I Prepare for My Chapter 7 341 Meeting of Creditors Hearing? What Actually Happens at My 341 Hearing? How Can I Avoid Stress in My Bankruptcy Hearings? Can I Keep My Property if I File Chapter 7? Will I Have to Attend Credit Counseling as Part of My Chapter 7? What is a “Reaffirmation Agreement” in my Chapter 7 Case? How do Motions for Relief from Stay Work in Chapter 7? Can Creditors Object to My Chapter 7 Case? How Long Do My Trustee’s Rights Extend After My Discharge? What Happens if I Forgot to List a Creditor in My Chapter 7? How Long Before My Credit Bounces Back After Chapter 7? What is the Purpose of Chapter 13? How is my Chapter 13 Payment Plan Calculated? How Difficult is it to Amend my Chapter 13 Plan or Petition? What Can Go Wrong in a Chapter 13 Case? What Objections can Creditors File Against My Chapter 13 Plan? Can I Convert My Case From Chapter 13 to Chapter 7? What Happens if my Household Income Goes Up or Down While I am in Chapter 13? How Can I Prepare for my Chapter 13 341 Hearing? What Questions Will I Be Asked at my Chapter 13 341 Hearing? What is Your Chapter 13 Confirmation Hearing? What are my Responsibilities After my Case is Confirmed? How Can I Eliminate my Second Mortgage Using a Lien Strip? How Many Times Will I Have To Go to Court In My Chapter 13? How Long Does it Take to Restore My Credit After Chapter 13? What if I Can’t Keep up with My Payments? What is a Motion for Relief and do I Need to Worry About it? How Does Chapter 13 Stop a Foreclosure? I Never Want to See You Again…. Ginsberg Law Offices, P.C. is a debt relief agency as defined by the United States Bankruptcy Code. This means that we help people file bankruptcy when appropriate and necessary. The information in this web site and blog is intended to serve as general information about filing bankruptcy in the Northern District of Georgia. We are not your lawyers unless we both agree in writing to an attorney-client relationship. Website Design Copyright © 2008-2019 Website optimized by: rent-my-brain.net.